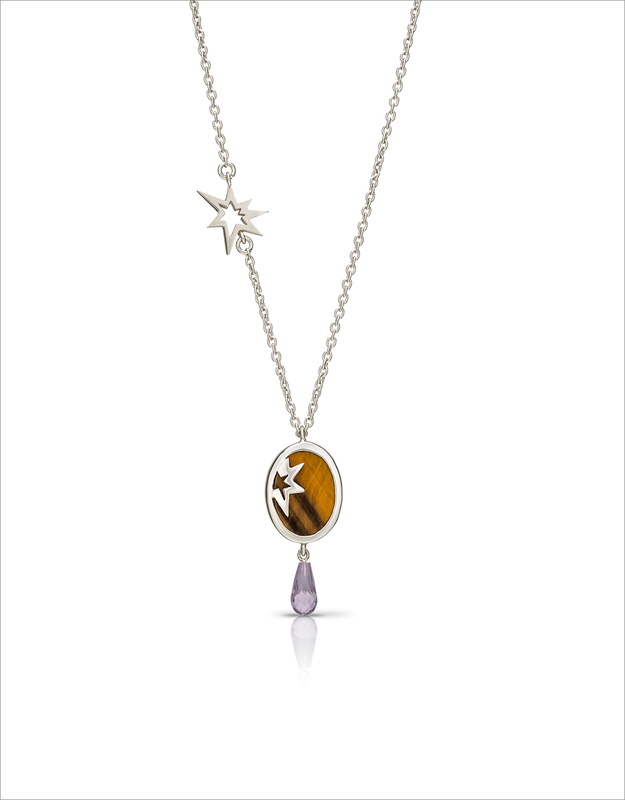 Silver, amethyst and tigers eye are the key ingredients for making this one of a kind necklace. The tigers eye reflects the colours in the 'Desert Sun' with the yellow and brown; the purple in the amethyst then brings in a little pop of colour to brighten up the whole piece. Its modern and unique design is beautiful both front and back, perfect for those times when your necklace flips. 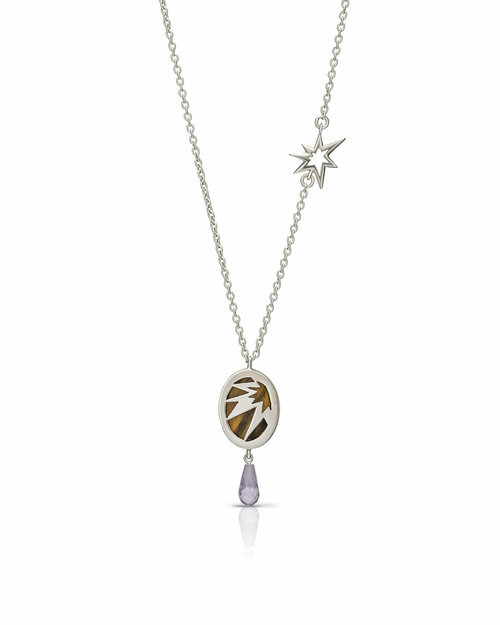 Silver, amethyst and tigers eye. You can choose the colour of the stones, golden tiger's eye, blue lapis or green agate. Please send us a message hello@curated-crowd.com, and we will get in touch as soon as possible.